We, Albus Electronics & Home Appliances from 2015 are one of the famous manufacturer, exporter, wholesaler, retailer a wide array of Water Coolers and Chillers. Our offered range consists of best grade Water Coolers, Water Chillers, Oil Chillers, Oil Cooler, RO Water Purifier and more. This range is precisely manufactured using the best quality raw material and contemporary technology under the guidance of skilled professionals in compliance with the set quality standards. Also, the significant attributes of our range make it easy to use and durable in nature. These are also offered in customized form as per the requirement of our esteemed clients. we also provide the AMC Services, Maintenance Service, Fabrication Work Service to our clients. Spread over a large area of land, we have established a huge infrastructure facility that is known for carrying out standardized operations. By segmenting our infrastructure into various units, we ensure that all the on-going processes are carried out in the most streamlined way. Known for its high production capacity, our infrastructure facility is upgraded on the regular basis in order to meet the various requirements of ever-changing market trends in the most efficient manner. Under the valuable guidance of, "Mr. Shibu VG", we have been able to meet exact requirements of clients in the most efficient manner. His sharp business acumen and rich industry knowledge help us to evolve as an eminent name in the industry. Since our incorporation in this industry, we are providing the superior quality array of the water coolers and chillers in accordance with the requirements of our clients. Together with this, hassle-free modes of payment, quality tested products range and customized solutions are offered, keeping in mind the convenience and budget constraint of our patrons. We have strong infrastructure unit. Ensuring succeeds for the company is our well-equipped and modern technology-based infrastructure that is a combination of the experienced team members and modern machines for production. 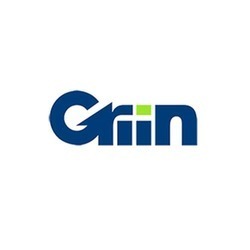 Our manufacturing brand is Griin. We are supported by talented professionals. These are hired after testing them on their deep knowledge, qualification, and experience. With an aim to keep our professionals updated on market trends and clients need, we organize seminar and training sessions at regular intervals. Supported by our dedication, we have been able to achieve the collective goals of organization within the set time frame.